Research draws a clear connection between teacher quality and student success. 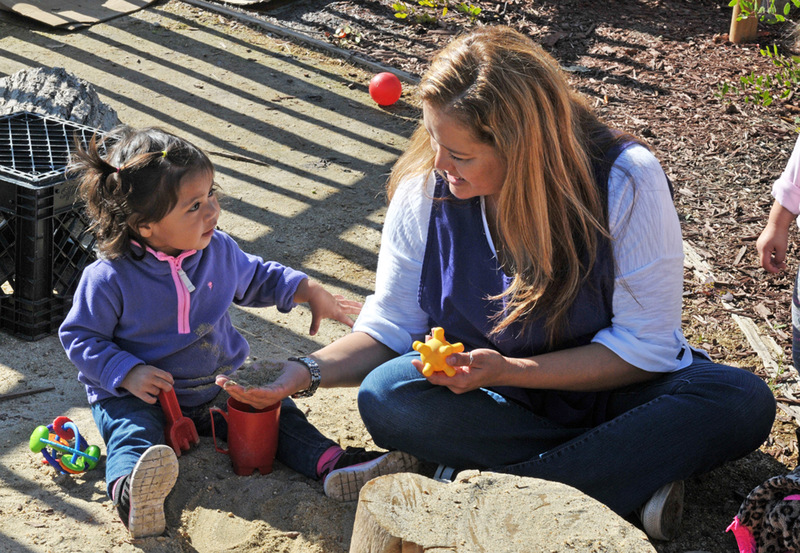 Through our Professional Development Institute (PDI), Educare California at Silicon Valley will build the local capacity of early learning educators from formal and informal settings throughout the region to impact thousands of children. As a “teaching hospital” and learning laboratory, our Professional Development Institute (PDI) will offer opportunities for early learning educators, parents and service professionals to observe high quality early learning environments and practices in action, access education resources and professional development trainings, receive individualized and data-driven coaching feedback to improve their methods, and practice fieldwork to replicate these strategies in their local communities. We will place an emphasis on dual language learner engagement approaches so that early learning educators can effectively meet the diverse needs of California communities. Check back soon for updates about the launch of our PDI!